There wasn’t any change in income tax slab in recent Union budget 2016-17 which has disappointed many people, mostly the middle class people who were expecting some more income tax exception from budget. Anyways, move on, let’s save tax from the available ways. As soon as the last date to file income tax return (ITR), more and more people looking for ways of Income Tax exception, from where can they save income tax. Even though we have limited ways, but you can still save income tax from IT Act 80C, 80D, section 24B, 80EE, 80GG, and Section 80E. From all these sections, you can save income tax (or can say you don’t need to pay any income tax till Rs.10 lac of annual income, using all above IT Acts). So, lets check out from which IT Act and available options under each Income Tax Act. Under Income Tax Act 80C, maximum income tax you can save is Rs. 1,50,000/- in one financial year. The tax saving options under IT Act 80C are PPF, EPF,ELSS Mutual Funds, NPS, LIC insurance premium, NSC, SCSS and sukanya Samiridhi money deposit. Under IT Act Section 80CCC, you show your Life insurance premium amount, which can be directly deducted under IT act, you can exempt that amount from Income Tax. Maximum Rs.1.5 lac you can save under IT Act Section 80CCC. Under Section 80CCD, you can show your NPS (National pension scheme) premium amount (which can be exempted 10% of your salary). 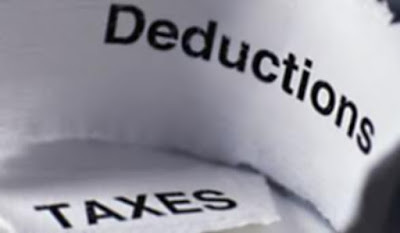 Maximum Rs.50,000 additional tax deduction allowed via section 80CCD. You can open new NPS Account and start saving money for your retirement fund and claim Income Tax Deduction via section 80CCD in Income Tax return form. You can claim Rs.25,000 of tax deduction (and Rs.30,000 in case if you are senior citizen) under section 80D for Health Insurance Premium. Note 1:- Senior Citizen above age of 80 years cannot claim income tax benefit under 80D. Note 2:- you can claim Rs.5000 extra expense of preventive health check up for family under section 80D. Under Section 80DD, you can claim additional Rs.75000 of medical treatments via submitting form no 10-IA. You can download form no 10-IA from income tax india website. Under section 24(B), if you have your own home, than you can claim and save income tax up to Rs.2 lakh for Home Loan interest. Also Additional benefit which announced in Union Budget 2016-17 that if you are first time buyer than additional Rs.50,000 can be saved for home loan interest (for new home which is less than Rs.50 lac of value and loan amount should be less than Rs.35 lac). This new additional benefit can be claimed under section 80EE. If you have your own home than you can claim home loan interest in Income tax deduction via section 24 (B) but if you are leaving on rent than now you can claim Rs.60000/- per year of rent amount via section 80GG. The newly additional increase in HRA (house rent allowance) increased in union budget 2016-17. You can claim charity or relief funds under Section 80G. Only charity which is done via cheque or demand draft will be covered under Section 80G for income tax deduction. Under section 80E, you can claim tax deduction for loan taken for higher studies. Interest paid for education loan can be claimed under section 80E. But if you repay the education loan, that cannot be claimed under 80E. But there is no limit of interest you can claim under 80E, too. As per union budget 2016-17, you can claim Rs.3000 additional in income tax (if you are earning less than Rs.5 lac per year). Tax rebate under section 87A increased from Rs.2000 per year to Rs.5000. Under section 80TTA, you can claim Additional Rs.10000 deduction on total income for interest earned via saving bank account deposit or via post office deposits. Note :- Section 80TTA cannot be claimed for interest earned via fixed deposit.